Optima RED TOP R 4.2 AGM BATTERY 8003-251 8003251 12 Volt 50AH 815CCA (Reverse Terminals) from County Battery Services. Free next day delivery on all Car Batteries. 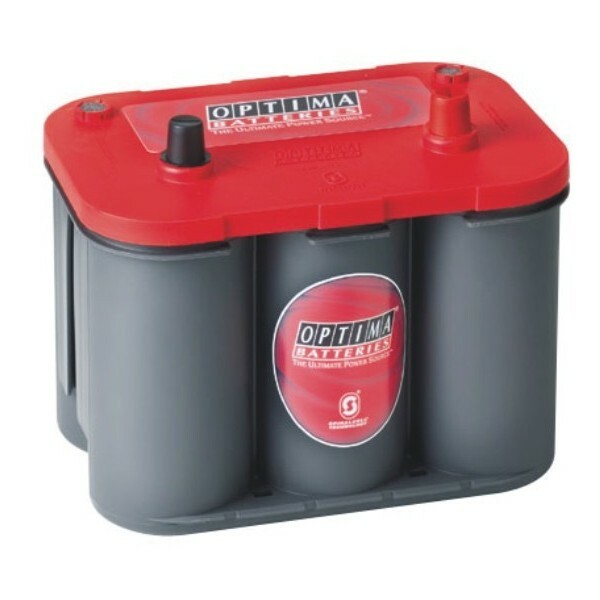 Optima RED TOP R 4.2 AGM BATTERY 8003-251 8003251 gives your vehicle a powerful start! Optima Red Top is the product of choice for professionals who are looking for maximum performance and minimum space requirements, e.g. for motor sports vehicles or off-road applications. This battery is absolutely maintenance-free! Plate Design: High purity lead-tin alloy.